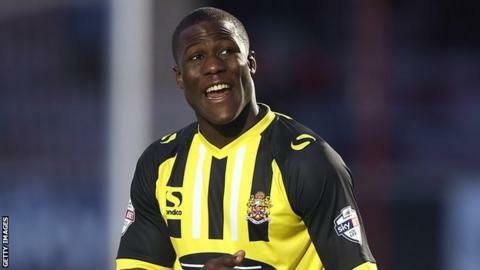 National League strugglers Welling have signed Luke Wanadio and added Dagenham pair Ian Gayle and Ade Yusuff on loan. Winger Wanadio, 23, had his contract at Ryman Premier League side Staines Town cancelled at the weekend. Centre-back Gayle, 23, and striker Yusuff, 21, will remain at Park View Road until the end of April. Gayle and Yusuff have spent time away from the Daggers this season at non-league Bishop's Stortford and St Albans City respectively. Welling boss Dean Frost also released six players on Monday; goalkeepers Roberto Gagliardi and Ali Aksoy, midfielders Kurtis Cumberbatch and Jake Green and striker Affy Obafemi.